Product prices and availability are accurate as of 2019-04-20 22:45:51 +08 and are subject to change. Any price and availability information displayed on http://www.amazon.com/ at the time of purchase will apply to the purchase of this product. 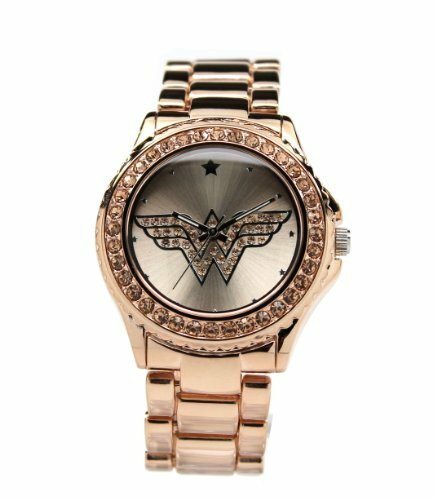 I am Diana, princess of the Amazons and this is my watch. 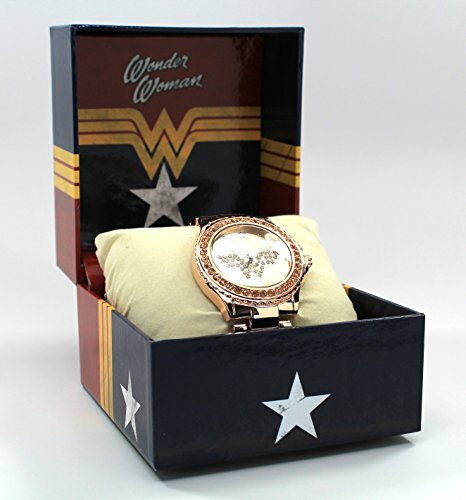 This Wonder Woman watch that is a young adult / adult sized watch that features the Wonder Woman logo. Uses Japan movement. Stainless steel caseback. The bracelet is stainless steel in rose-gold adorned with light peach Czech stones around the bezel of the watch and on the Wonder Woman logo. 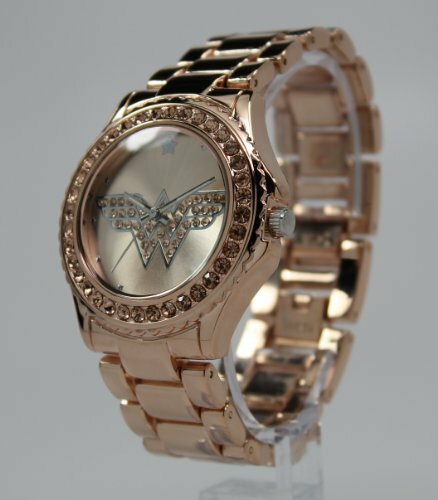 Perfect for the Wonder Woman in your life. 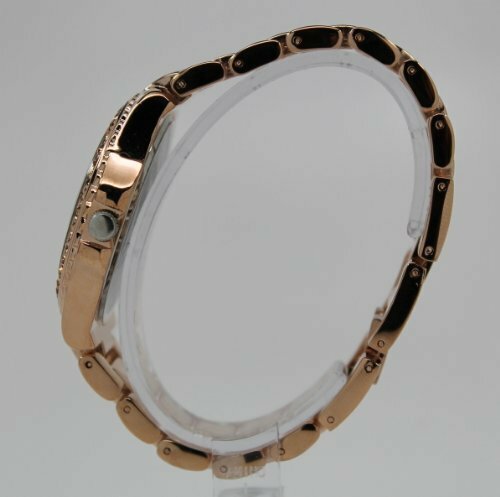 Watch case measures about 1.7 inches in diameter. Bracelet is .75 inches wide. Watch is shipped with a crown stopper, protective film of the glass/crystal, and a protective film/sticker on the caseback. The crown stopper prolongs the battery. Watch is about 7 inches in length. Perfect for the Wonder Woman in your life. Watch case measures about 1.7 inches in diameter. Bracelet is .75 inches wide. 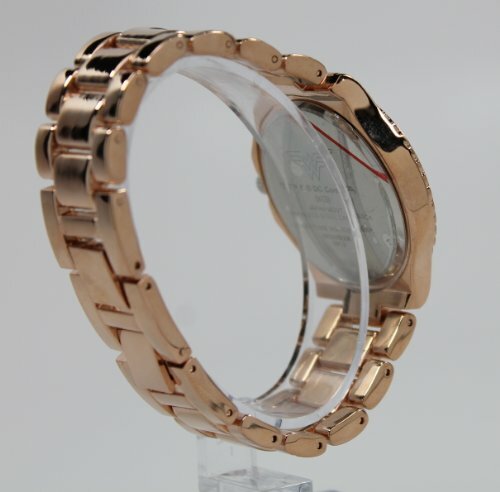 Watch is shipped with a crown stopper, protective film of the glass/crystal, and a protective film/sticker on the caseback. The crown stopper prolongs the battery. TM & © DC Comics.